Sammy Chubs is HUGE, and his sky blue fur is so beautiful and soft. He’s from our Chubs Bear Family, our biggest teddy bears of all. Be sure you have a camera ready; because you’ll definitely want to capture the moment someone you love sees this amazing teddy bear gift! • This bear is our biggest 72in (6ft) size. 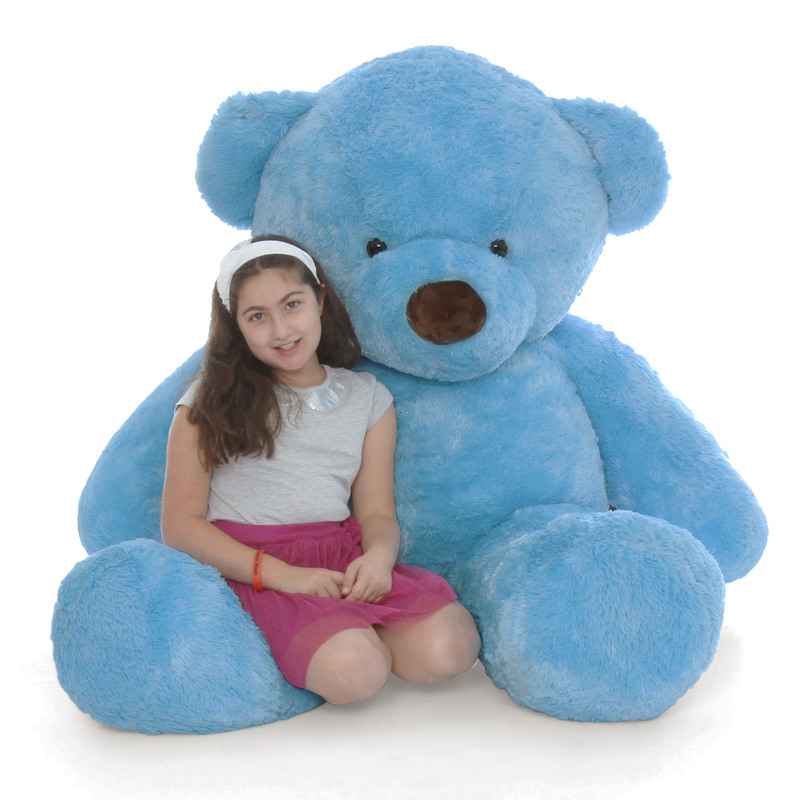 • Sammy Chubs has super soft & cuddly vivid sky blue fur. • Chubs bears all have huge round arms & legs, big soft chubby noses and big tubby tummies. • Huggable, adorable, and a cute little tail in back! • Complimentary greeting card included.